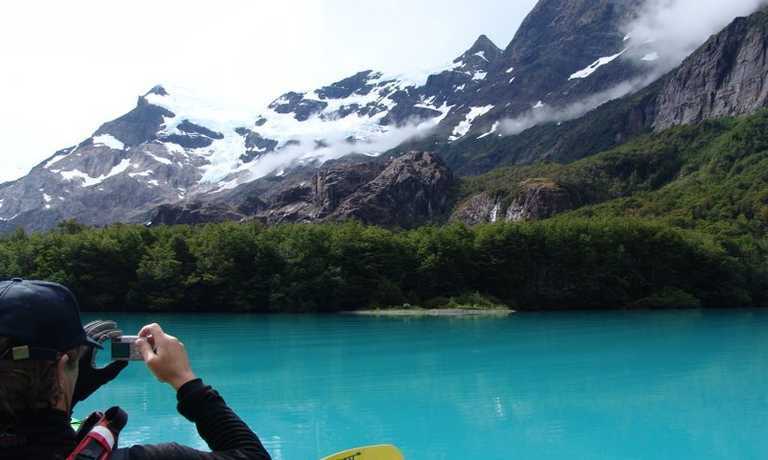 A kayaking excursion among the icebergs of Lago Grey that fits perfectly with hiking itineraries within the park and gives you a chance to see the scenery from a very different perspective. Suitable for kayakers of any level. Private transportation will be provided from your hotel/hostel to the shores of Grey Lake, located in Torres del Paine National Park. The journey will carry you 67 miles north of Puerto Natales via the new road, which provides southern access to the park. 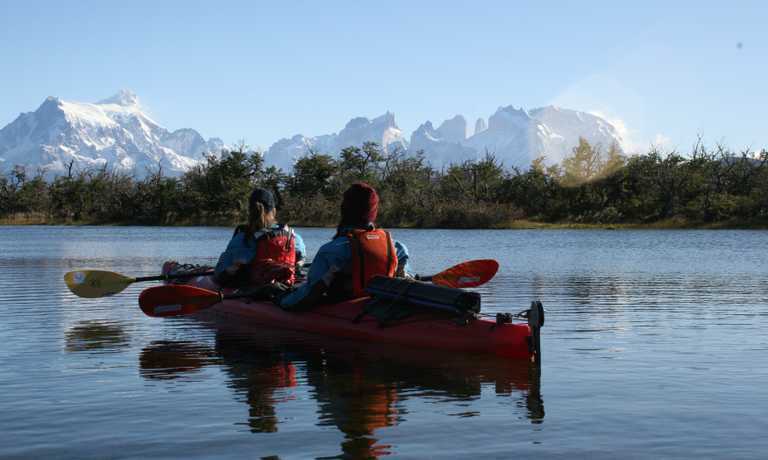 While enjoying the view of Paine Grande and Glacier Grey, the guide will give a brief explanation of safety and instructions for paddling efficiently. 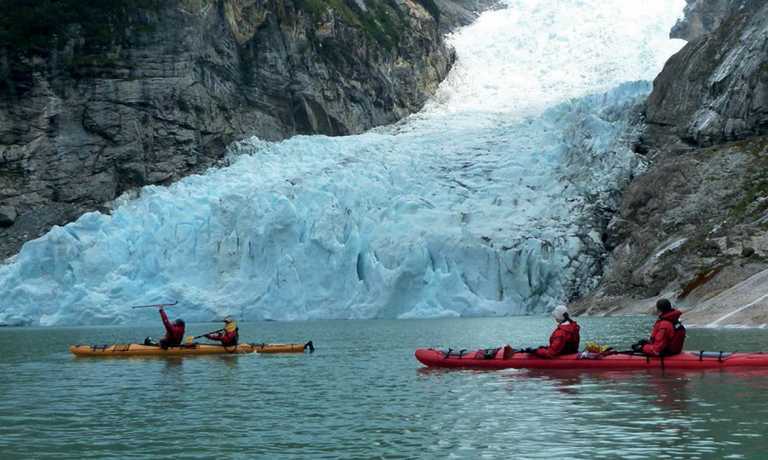 You will navigate the lake for approximately 1.5 hours, all the while paddling through floes of ice that have descended from Glacier Grey. These icebergs are scattered throughout the lake and are sculpted into incredible shapes by the wind and sun, before being pushed to the shores of the lake. During the entire navigation, you will have an amazing view of the magnificent Paine Massif; including Paine Grande, the Cordillera Olguin, and Los Cuernos (The Horns of Paine). These mountains, together with the multiple tones of turquoise water, make for a perfect contrast with the enormous walls of granite and sedimentary rock. After paddling in Grey Lake, you will begin the descent of Grey River. The river serpents through deep canyons with steep rock faces, creating sections of rapids that are exciting and entertaining. You will have the opportunity to appreciate many different species of aquatic birds that inhabit the river, including the peculiar Pato Anteojillo (Spectacled Duck) and Pato Cortacorrientes (Torrent duck). 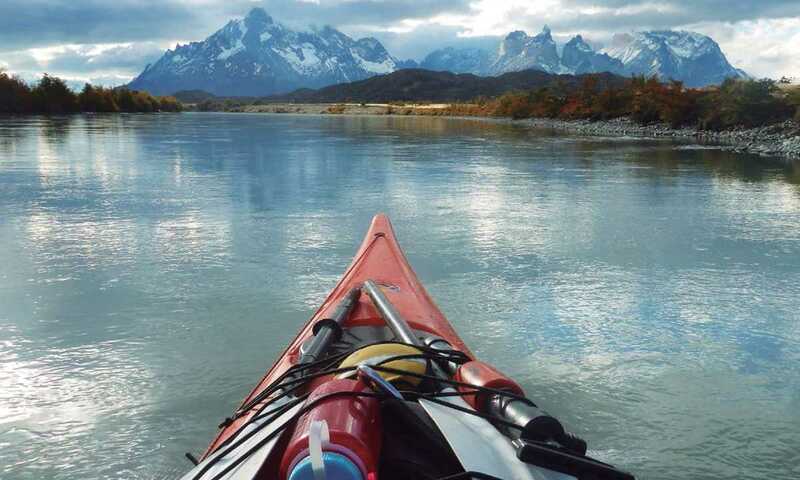 Continue to paddle next to the Paine Massif, the length of Grey River until it joins with the turquoise water of the Serrano River. After paddling for 3 - 4 hours, the adventure comes to an end at Serrano Village. Kayaking Serrano River was amazing. I've never been so close to a glacier while on the water. This trip can run as a group trip, with prices starting from $290 per person for a complete group. If you are looking to join a group or you are a solo traveller we will help to form likeminded groups of travellers. Please let us know your travel plans. This trip is almost always booked alongside a W Trek, get in touch to find out more.